55 Inverleith Row, situated just north of the city centre, is a beautifully presented semi detached family house dating from the 1830s, which has been upgraded to provide all the modern comforts whilst retaining a number of fine traditional features - including the high ceilings, decorative cornice work, fireplaces, bay windows and beautiful oak and tile flooring. Arranged over three levels and covering a floor area of around 2893 sq ft, the property offers elegantly proportioned accommodation and is ideal for modern family living and entertaining. Internally, the accommodation flows particularly well and benefits from superb light throughout much of the day. On the ground level, the spacious hallway leads to the superb kitchen/breakfast room, with Aga, which leads on to a lovely conservatory. The beautifully presented living room and large study are also situated on this floor. The first floor comprises of the generous master bedroom, bathroom and three further bedrooms; with the lower ground floor accommodating family room, additional bedroom, wine cellar and utility room. The lower ground floor has potential to be sub divided to provide a separate self-contained apartment (subject to necessary consents). Externally, the delightful private landscaped rear garden provides ample outdoor space and the property has the added benefit of garage offering off-street parking. 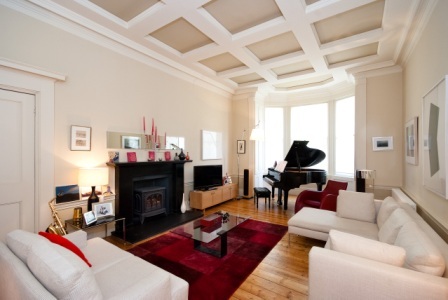 Alasdair MacKenzie, who is handling the sale for CKD Galbraith, said: "Given the superb finishings and fantastic location, 55 Inverleith Terrace is a great opportunity to acquire a wonderful home in a prime Edinburgh location. This attractive property ticks all the boxes for everyday family living and is certain to attract significant interest." Goldenacre and the nearby 'village' of Stockbridge offer an excellent array of shops, restaurants, cafes, a library and swimming baths. 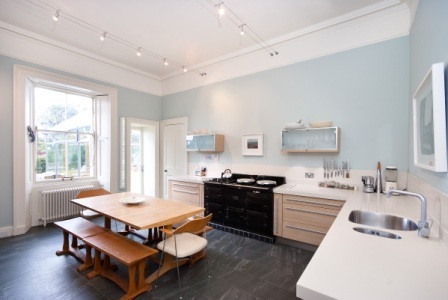 The property is also extremely well-located for many excellent schools and is situated near to Inverleith Park and The Royal Botanical Gardens. There is easy access to the City Bypass, Edinburgh Airport and the central Scotland motorway network. 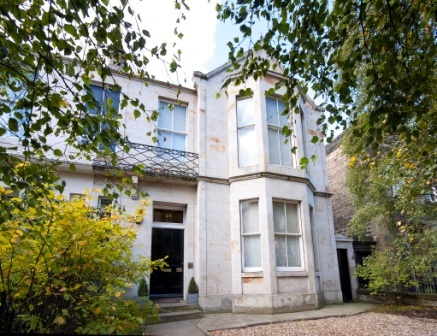 Offers over 825,000 are being invited for 55 Inverleith Row. Find out more about this property.